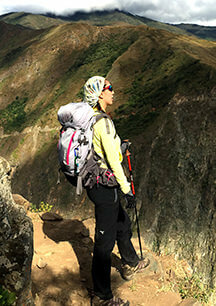 Choquequirao Trek To Machu Picchu Tour will allow to explore and hike the best of Cusco City and surroundings to later start a Magic expedition to the 2 most famous Lost Cities of the Incas, one called “Choquequirao” and the other one Machu Picchu. Both of them offers you the most incredible views to make your trip to Peru a memorable trip. Upon arrival to the airport of Cusco, you will be welcomed by a Trexperience representative who will drive you to your hotel. We will explore the amazing and historical city of Cusco, which was the capital of the great Inca Empire and is surrounded by the beautiful Andes Mountains. In the afternoon you will begin your tour visiting the Plaza de Armas. We will continue our tour by exploring the Cathedral and admire its exquisite vestibules and priceless paintings from the Cusco School of the 17th and 18th centuries. Just a few blocks away you will visit the famous 12 angle stone and Loreto Street. Nearby you will visit the Koricancha, the Temple of the Sun in the Incans’ time, whose interior walls were said to have been covered in gold. As you return to the lower part of the city, you will stop off at the San Pedro Market, where you will be delighted by the variety of unique and traditional local products and discover new aromas and tastes. Today you will experience a guided excursion to the enigmatic Sacred Valley of the Incas. We will start at 8:00 AM. While driving you to Pisaq, we’ll pass through the animal sanctuary of Cotahuasi where we’ll see pumas, condors, llamas, alpacas, vicuñas and guanacos. It’s then another 30 minutes’ drive to Pisaq, where we visit the archaeological site and the local market. After visiting the handicraft market, we will continue our journey passing the Sacred Valley until we arrive to Ollantaytambo – “The Last Living Inca Town,” an old Incan fortified village where we will observe some of the best examples of Inca architecture in the region. Then on your return we will go to the unique archaeological site of Moray, where we will learn about the ancient Inca farming technology. We will then return to your hotel in Cusco. Departure will be from Cusco between 4:30am-5:00am. We’ll drive across the Andes towards Capuliyoc, arriving at approximately 8:30am. In this place we will enjoy the first breakfast and start our Trexperience to one of the legendary lost city of the Incas: Choquequirao. It’s a 4-hour trek downhill from Capuliyoc (9550 ft. 2911 m) to our lunch place at Chiquiska (1893m – 6210 ft.). Along the way we will get the first views of the Apurimac canyon, one of the deepest ones in Peru. It offers us spectacular panoramas with different landscapes from the highlands of Peru to the dense vegetation of the clouds forest. After lunch we continue our journey for 2 more hours down to Playa Rosalina (1478mts – 4849ft.) Here we will camp for the night. After breakfast we will get ready for one of the most challenging but rewarding days on this Trexperience! First we will cross a suspension bridge and take a 4-hour trek uphill to Marampata (9550 ft. 2911 m). Passing through sugar cane farms, we’ll see where the locals produce “Cañazo”, a local alcoholic drink that has been produced for centuries. We will stop for lunch at a beautiful spot with amazing views of the mountains and the river. After lunch we start ascending another 2-hour uphill to Choquequirao (3030mts – 9940ft.). A spectacular place perched in the Peruvian Andes, this was one of the last Incan cities built. It might have been one of the entrance check point to Vilcabamba, the last capital of the Incas. We will wake you up bright and early with a nice cup of coca tea or coffee to witness the amazing sunrise in the mountains. After breakfast, we have the entire day to explore this magnificent archaeological site. 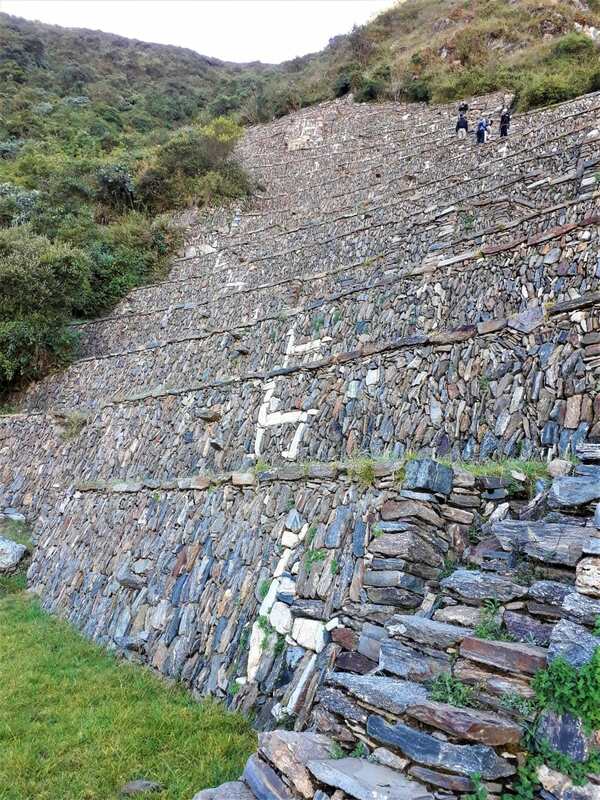 Your tour guide will take you to the most beautiful spots, explaining the history of this place and the Incas. You’ll learn that Choquequirao is considered the twin sister of Machu Picchu, cradle of gold, and is almost twice the size. We will return to our same campsite for dinner and to spend the night. We will wake up for the second time is this magical place. After breakfast, it will be a 3-hour downhill to Santa Rosa (2230mts – 7300ft), our lunch spot. Then later, we continue down for 2 more hours downhill and 2 hours uphill until we arrive to our campsite at Chiquiska (1800m / 5905ft). This is a perfect day to enjoy the surrounding landscape from hundreds of different flowers, birds, and waterfalls in the distance. On our final day we will get up, have breakfast, and prepare for our last 4-hour trek uphill to Capuliyoc where we will have lunch and say good bye to all our team that accompanied us to this expeditions. Afterwards we will take our private transportation to the archaeological site of Saywite: a great mysterious rock. You’ll have plenty of time to explore it before drop off at your hotel around 5pm. Horse, horsemen and emergency horse.